As some of you may already be aware we recently welcomed GyroQ for MindManager into the Olympic product portfolio and we have put together a very short introduction video for anyone who may have had their interest piqued by the recent news. 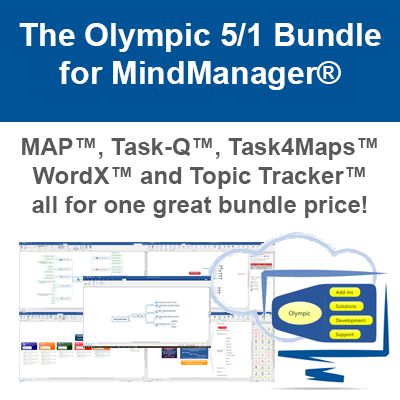 GyroQ is a small add-in for MindManager that delivers a very powerful set of functionality. This introduction video shows the core functionality and is the first video in a series where we will demonstrate GyroQ from end to end over the coming weeks/months. The video is under 10 minutes so is ideal to watch while grabbing a quick coffee and taking a well earned break from your busy day. You can trial GyroQ Pro for 14 days with full functionality to see just how useful and how much time this little add-in will save you. There is a comprehensive Help File to get you up and running and you will soon be filling your GyroQ queue in no time at all. Get the 14 day trial of GyroQ Pro and start stopping the Stop/Start in your day! 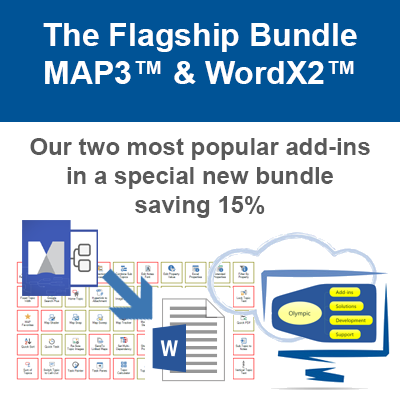 Purchase GyroQ for MindManager securely online.